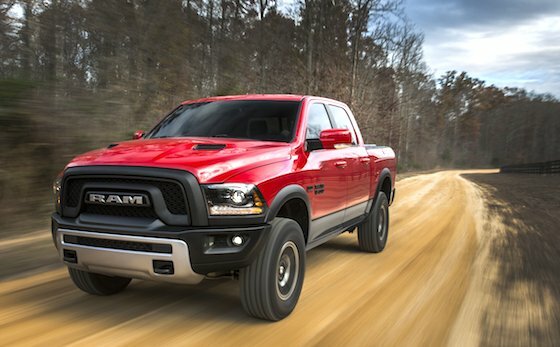 The new RAM 1500 Rebel is built for off-road travel and specifically for getting hunters into the back country. Having added an air suspension to the model in 2013, with the Rebel designers pumped up the air suspension for more ground clearance and to accommodate 33 inch tires. They added radar red in the interior, made some slight changes to the exterior and the Rebel was born. 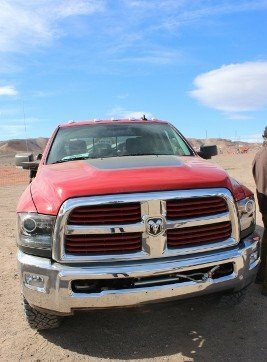 We took a test drive at the recent SHOT Show 2016 Industry Day at the Range to find just how well it handled on rutted roads and steep climbs. With instruction from Nick Cappa, RAM media relations, we drove the truck up a near vertical incline without any problems. It sucked up the bumps like they weren’t even there. A computerized traction system helps keep the tires working where the truck needs it most. The technology has been in trucks almost 10 years, and it’s getting better every year. 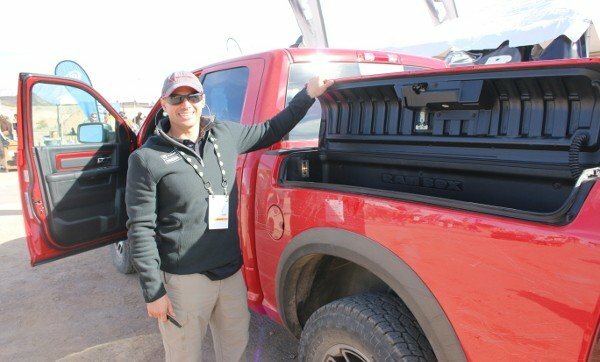 This truck also has several features that make it unique for hunters and campers including a storage compartment built into the side rails of the pickup and a rear seats in the extended camp that fold down into a flat surface where you can sleep. When it comes to performance compared to other trucks in the field, the RAM 1500 has themost payload at 7,390 pounds, you can tow a 31,200 pounds with the 3500 cummins more. And it has the most torque at 900 pound feet. In addition the diesel version gets a field-leading 29 miles per gallon. “This is the best ride in the industry,” Cappa said.